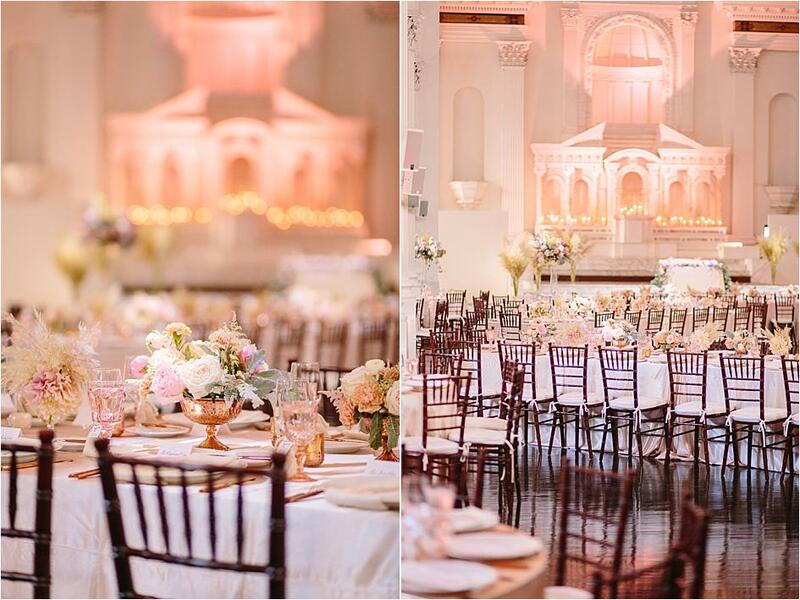 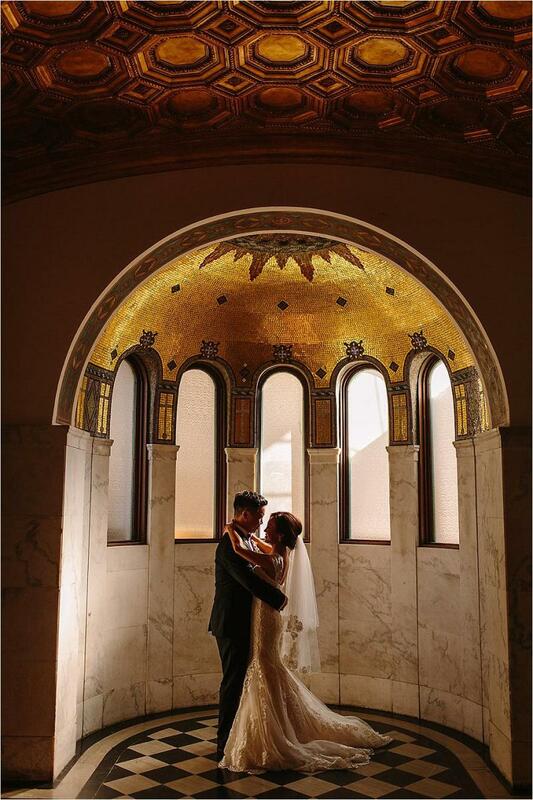 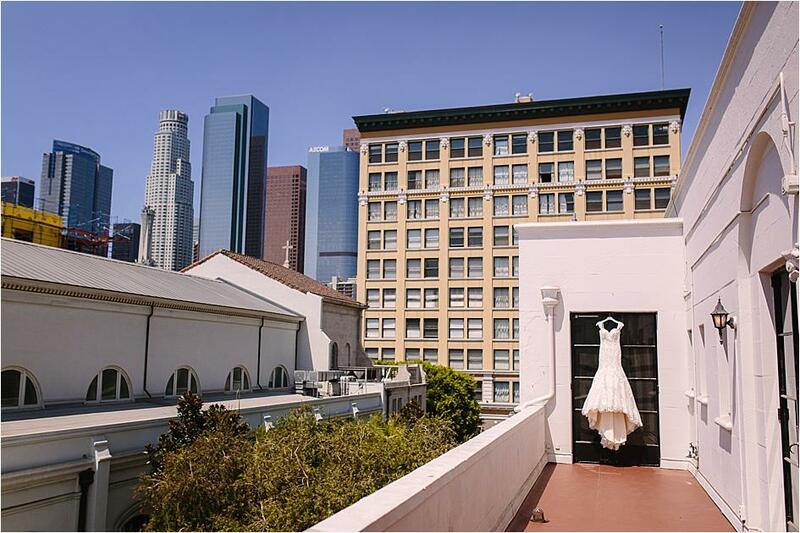 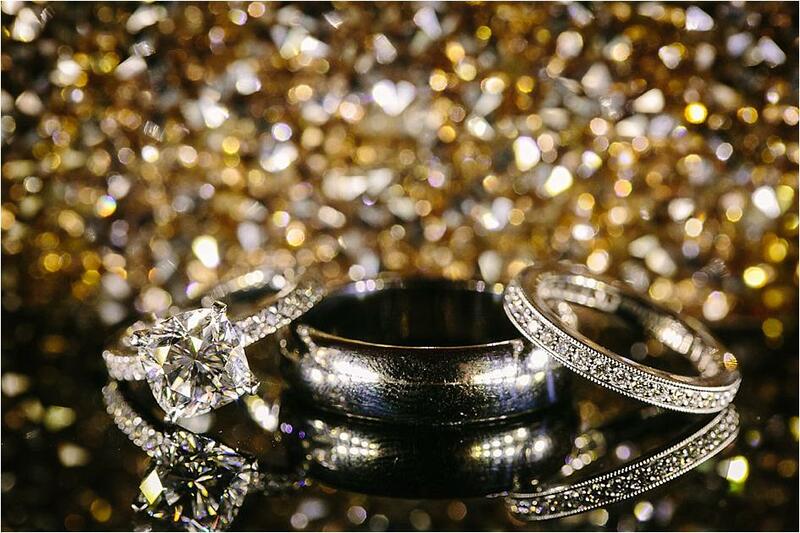 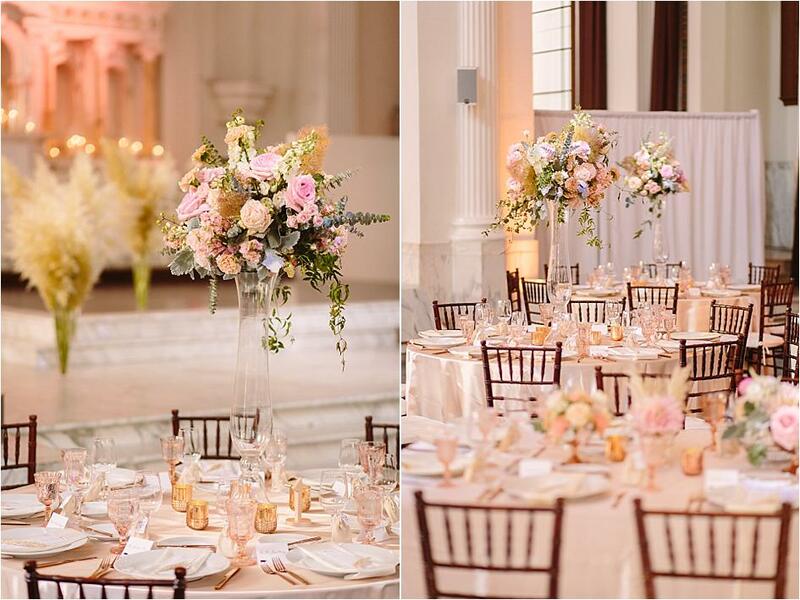 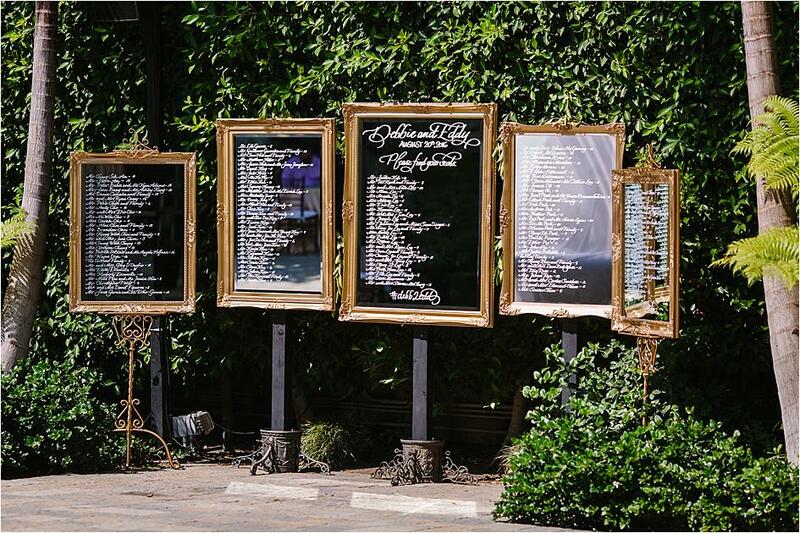 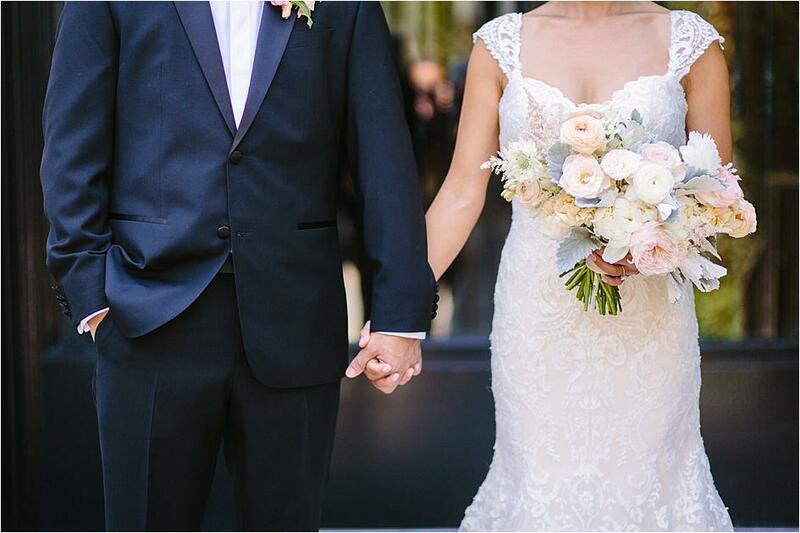 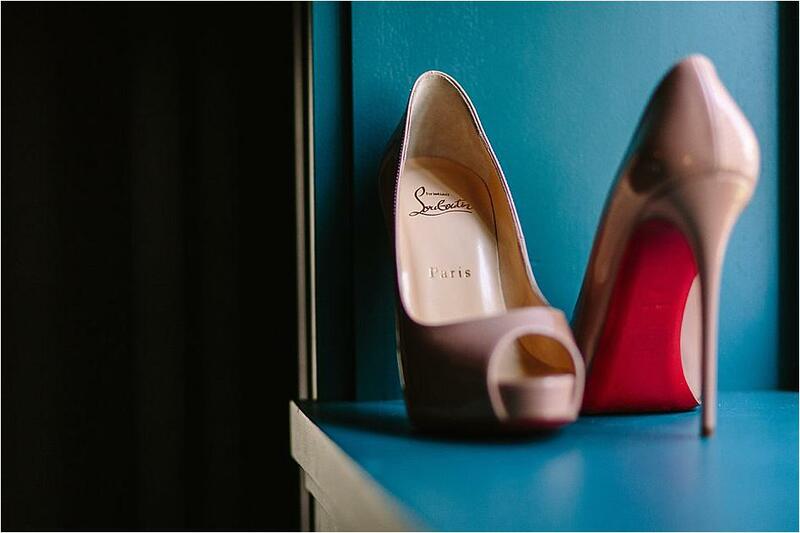 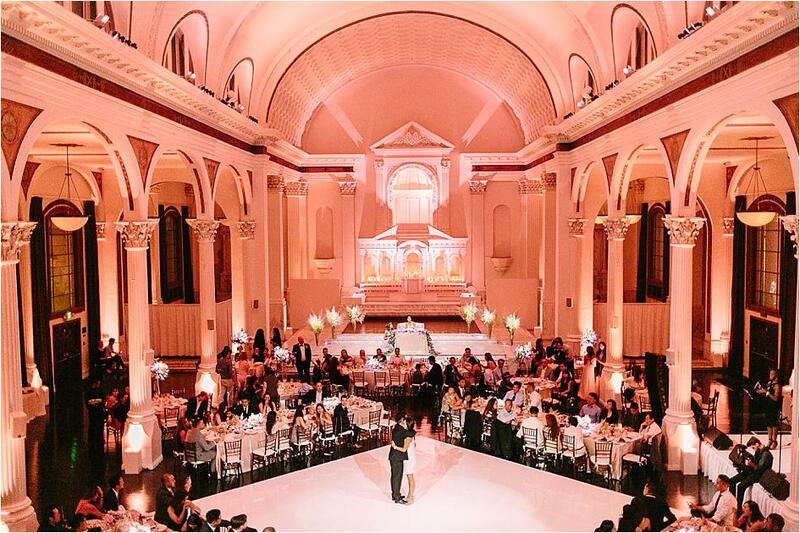 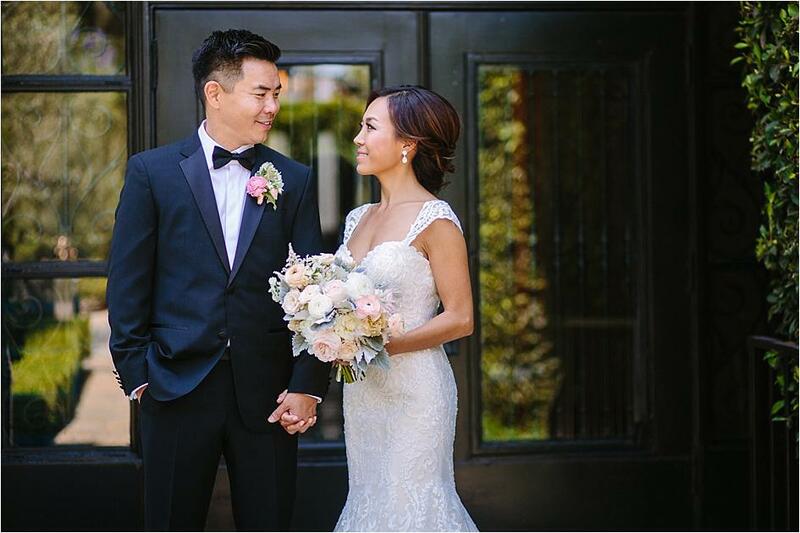 Debbie and Eddy's gorgeous wedding day at Vibiana boasted all things pink and pretty. 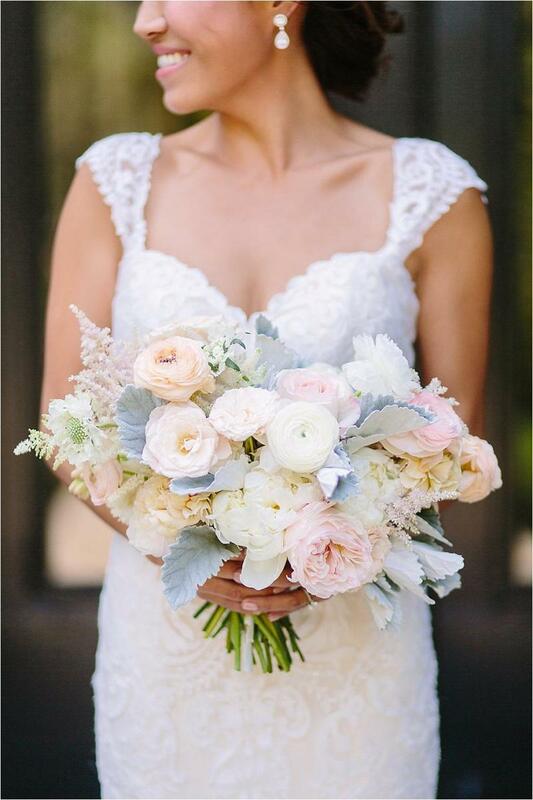 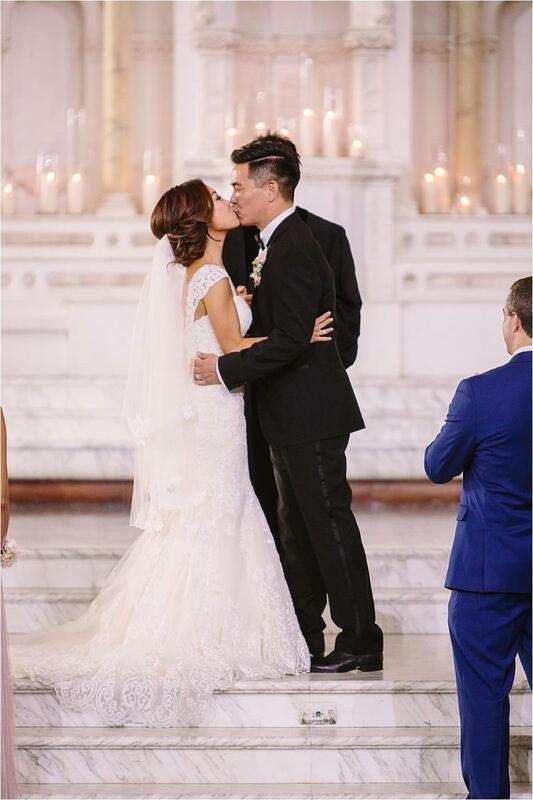 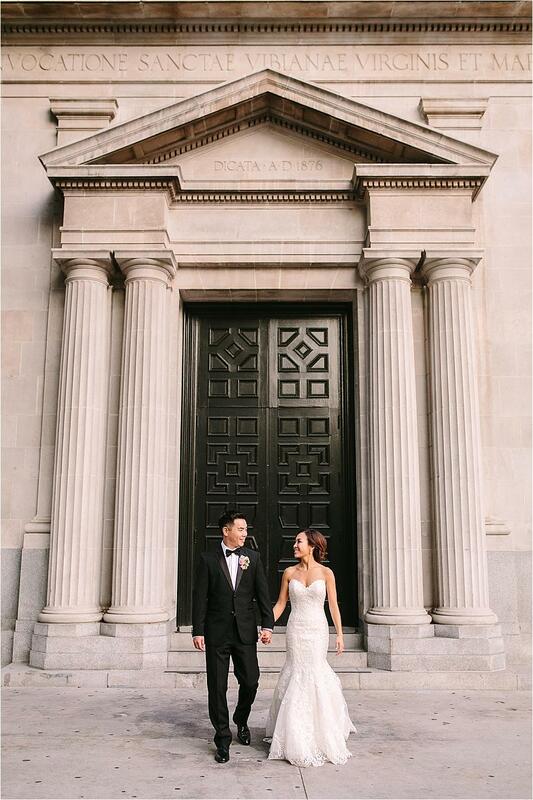 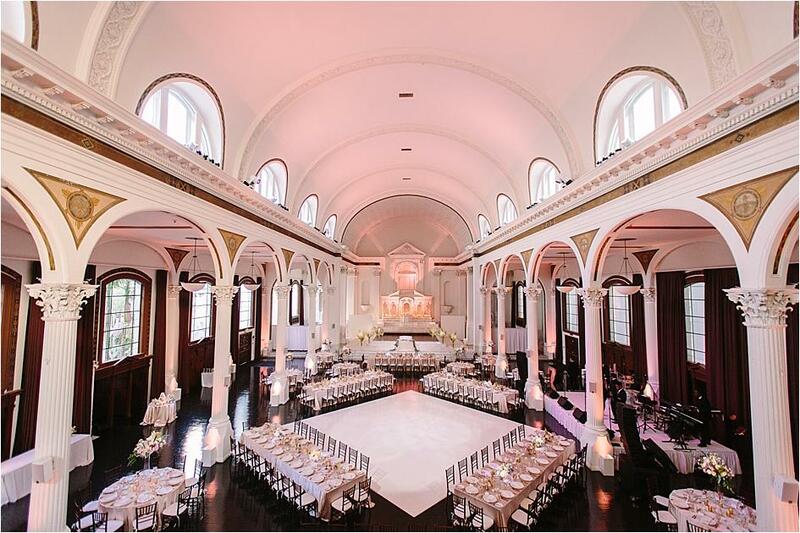 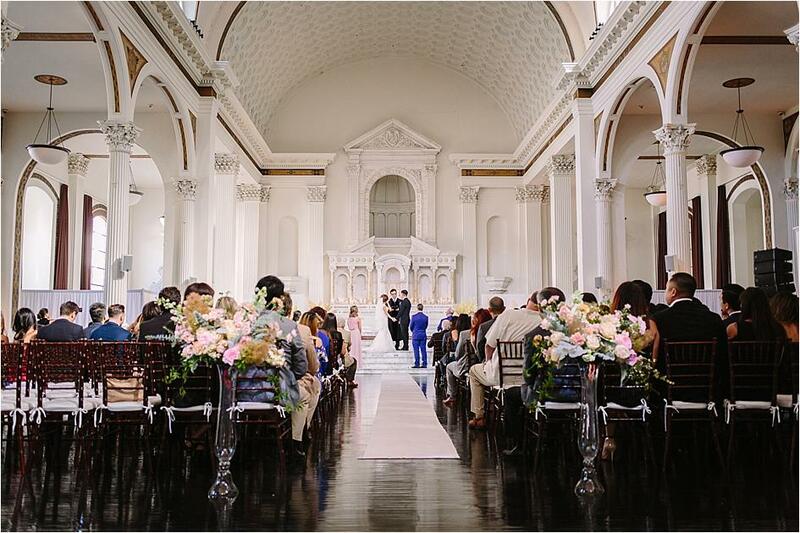 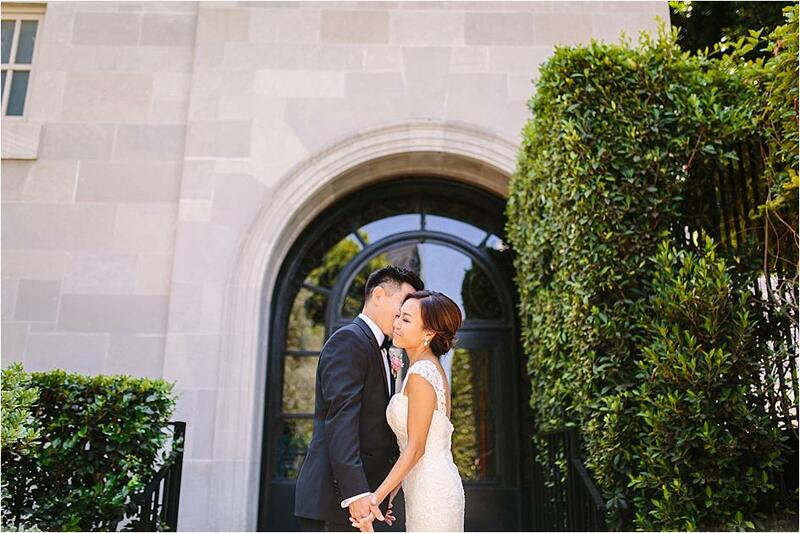 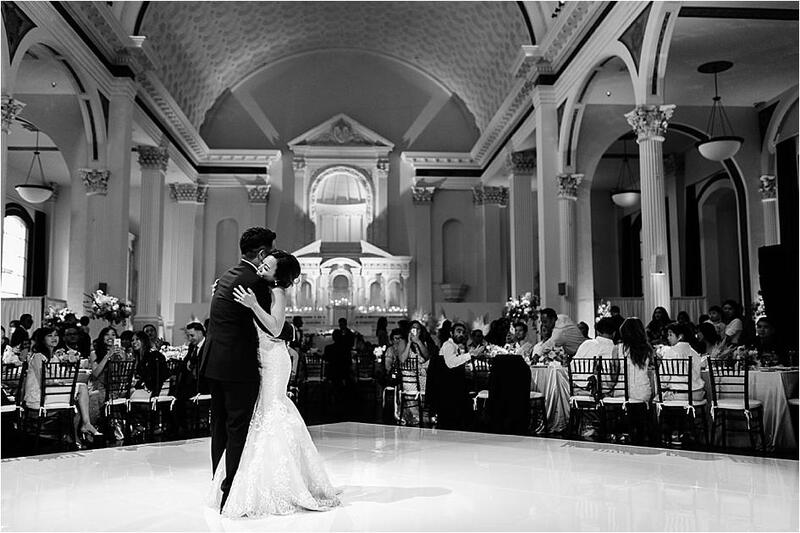 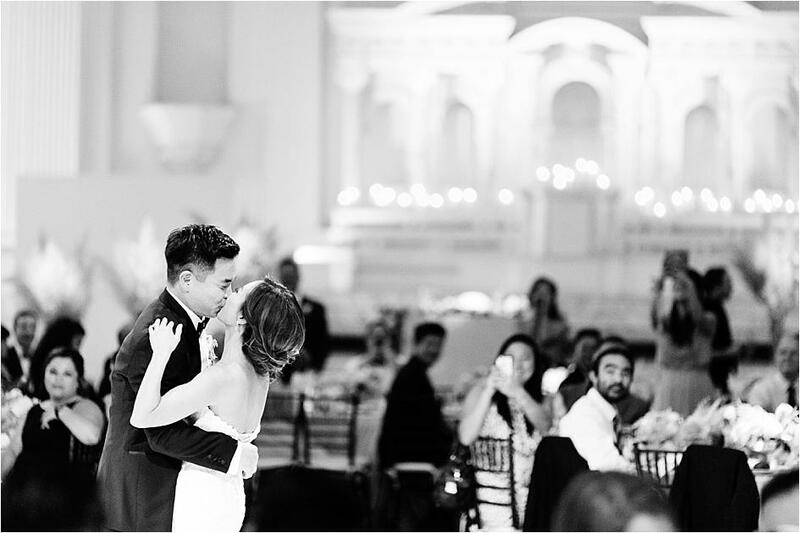 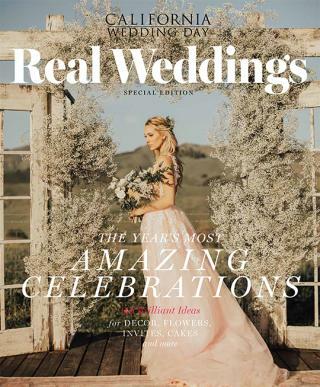 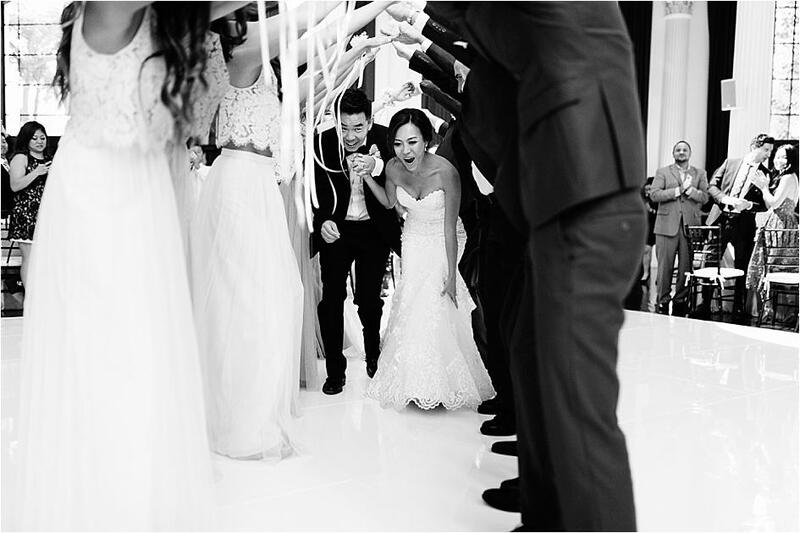 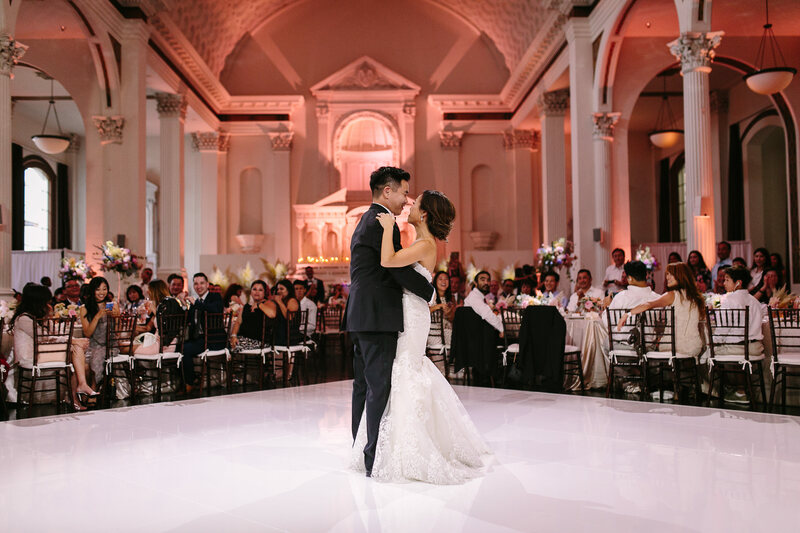 The Main Hall served as the most beautiful ceremony venue, where Debby stunned in a lovely lace bridal gown and carried a beautiful neutral-hued bouquet by Of The Flowers. 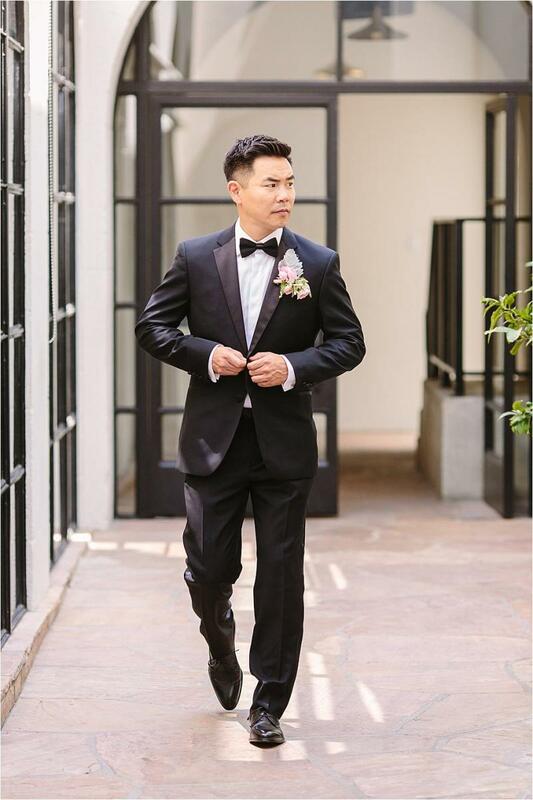 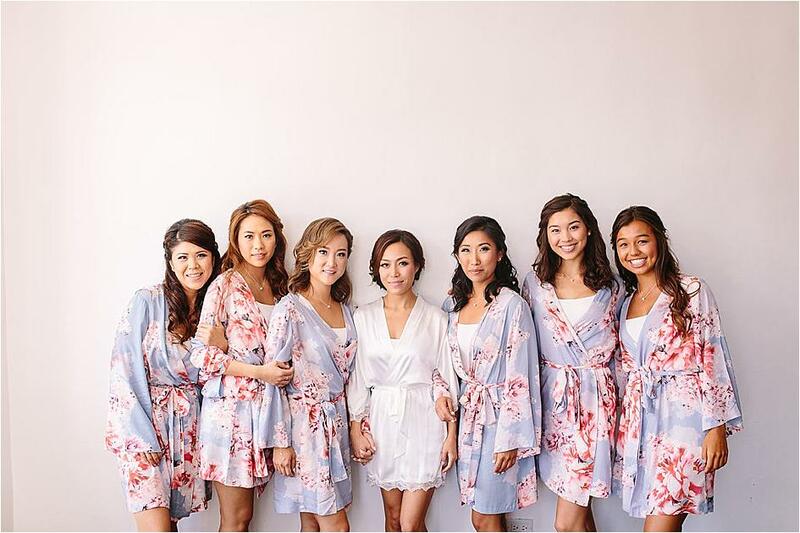 The bridesmaids wore pretty blush-toned gowns while the groomsmen opted for classic navy suits. 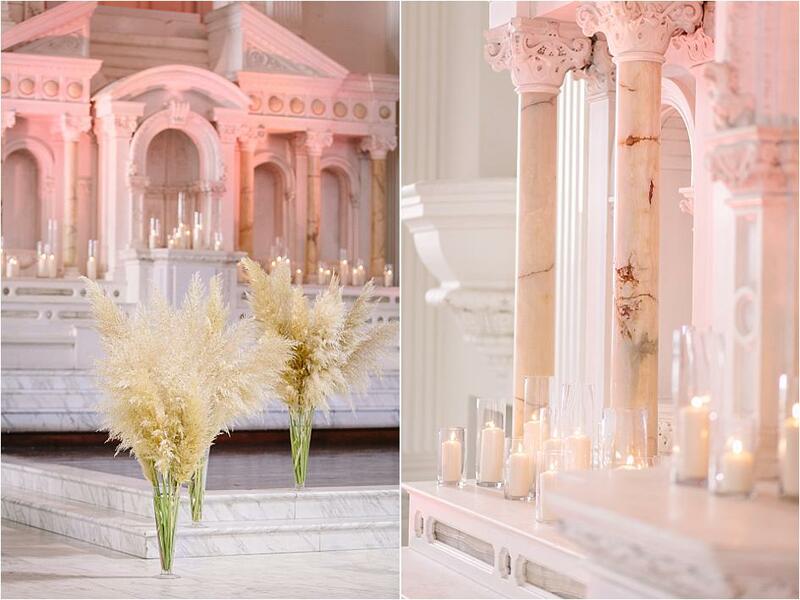 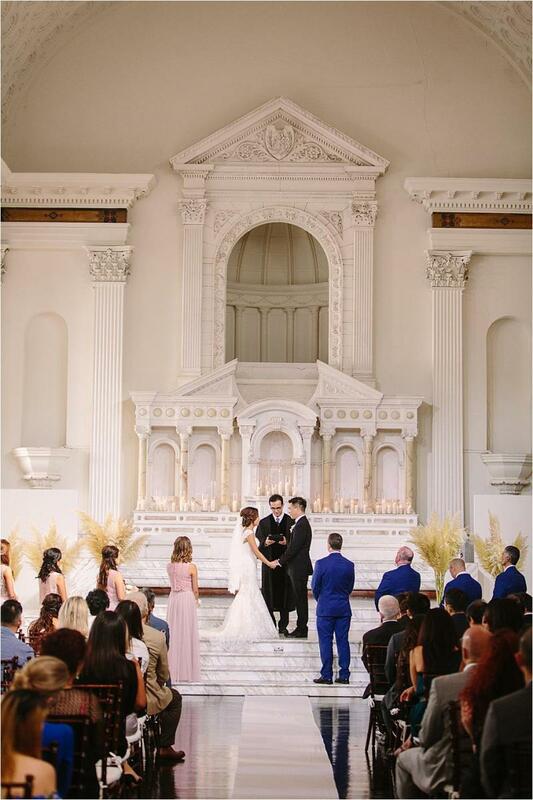 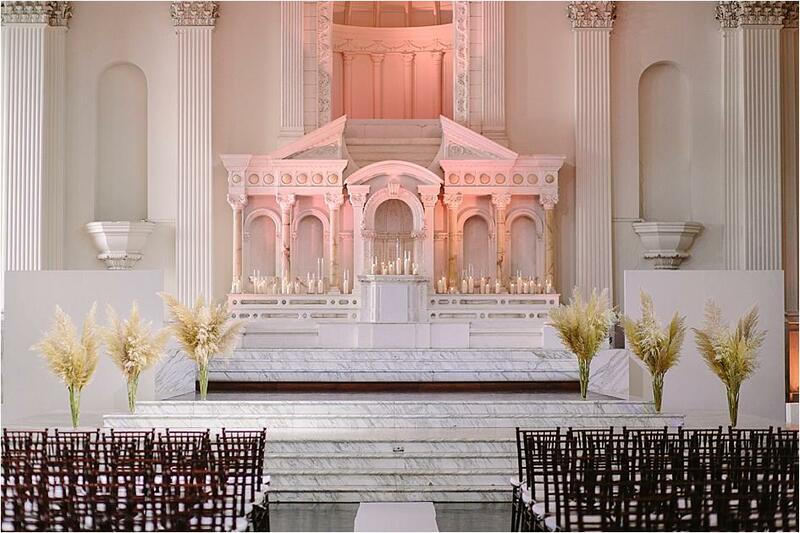 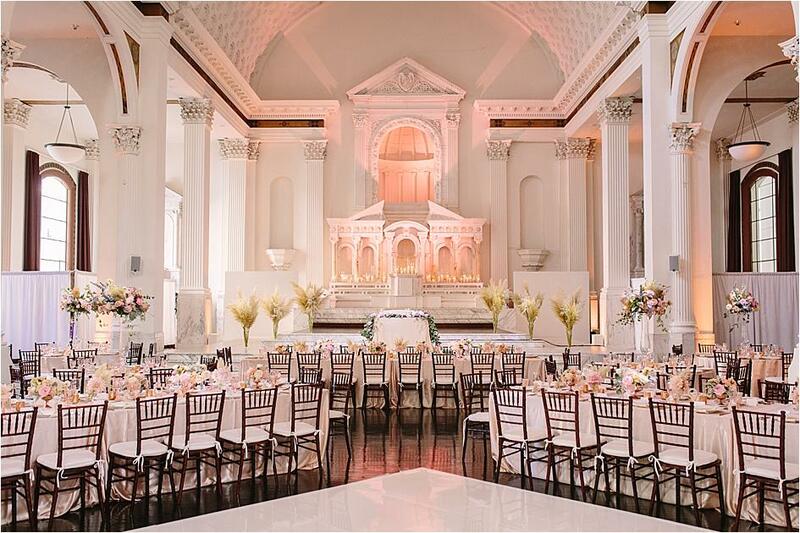 Pampas grass arrangements flanked the altar, adding an earthy element to the extravagant architecure of Vibiana. 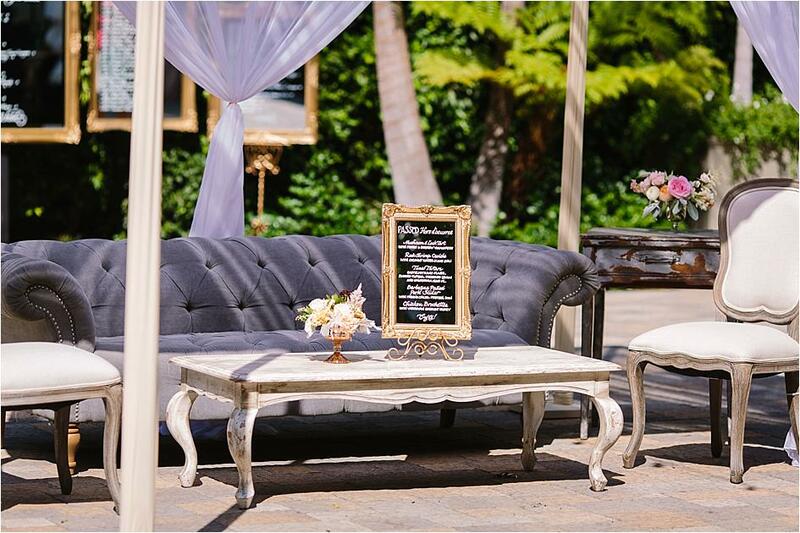 Guests were treated to cocktails in the courtyard before moving back into the space for the reception. 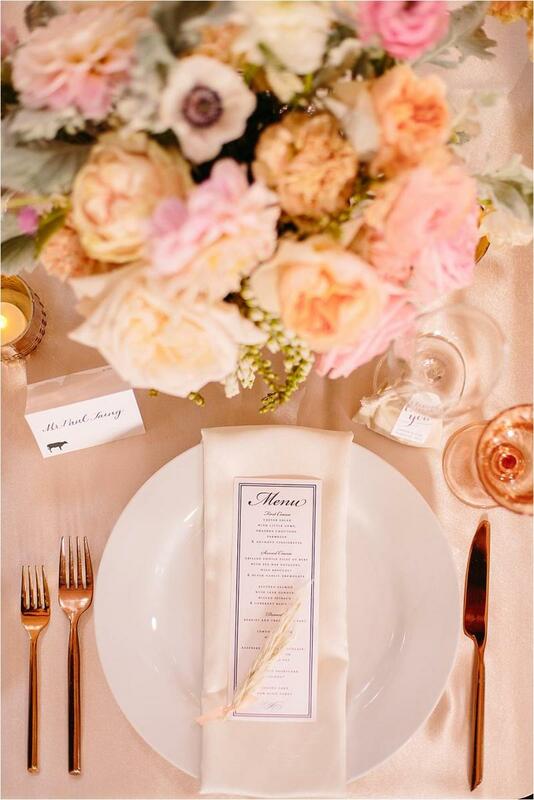 Beautiful tablescapes featuring ivory linens and floral arrangements of peach-hued astilbe and lambs leaf stole the show, while gold place settings added a pop of glam. 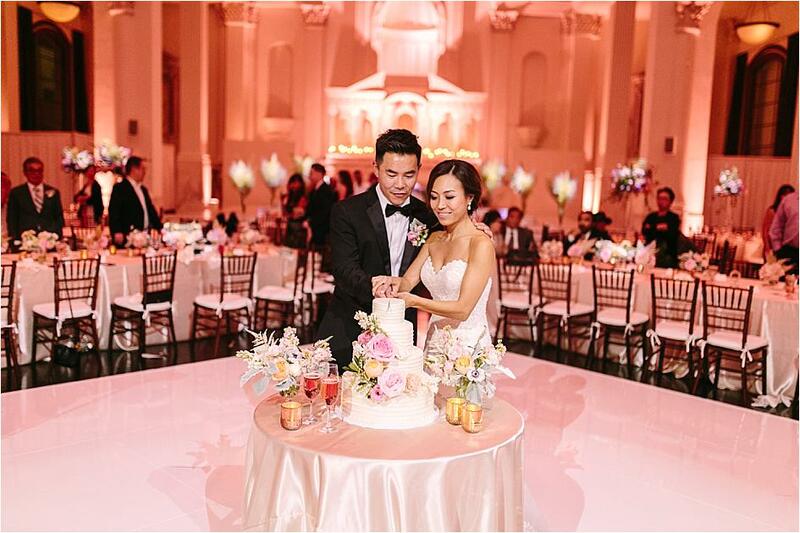 SusieCakes crafted a charming four-tiered cake adorned in florals for the couple to enjoy with their guests!